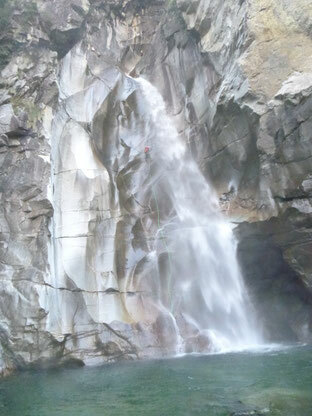 Tessin is a Canton in Italian Swiss and is known as the real „Eldorado“ for Canyoning. Within only a few kilometers you’ll find endless options of great different canyons. At this extraordinary lociations canyoning dreams really come true. This tour can also be combined with a Helicopter-Canyoningtour!